Young Giant Hogweed. The start of an infestation! From far away, hard to spot as anything but another weed in Spring. Hogweed can be distinguished from common hogweed and cow parsley by its characteristic size. Its leaves can grow to 1.5m across and have a rough edged spikey appearance. Stems are green with dark-red or purple blotches (like the photo above), are hollow can be up to 100mm across and up to 5m tall. In mid-summer Giant Hogweed plants produce large white umbrella-like flower heads up to 500mm across. 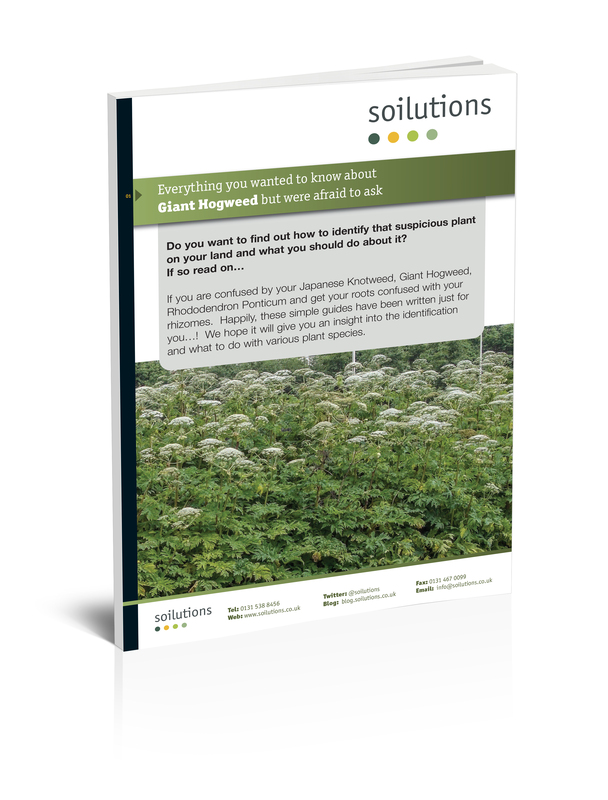 If you find any age of Giant Hogweed (or suspected Giant Hogweed), the safest course of action is to contact a contractor who deals with Invasive Species Treatment. To find out why you should, check our web-site here, where we have more information on the Whats and the Whys of invasive weeds management. This free guide will help you learn about Giant Hogweed and how to treat it in the simplest terms. Download it now for free!